There are currently 94,698 users on this website. 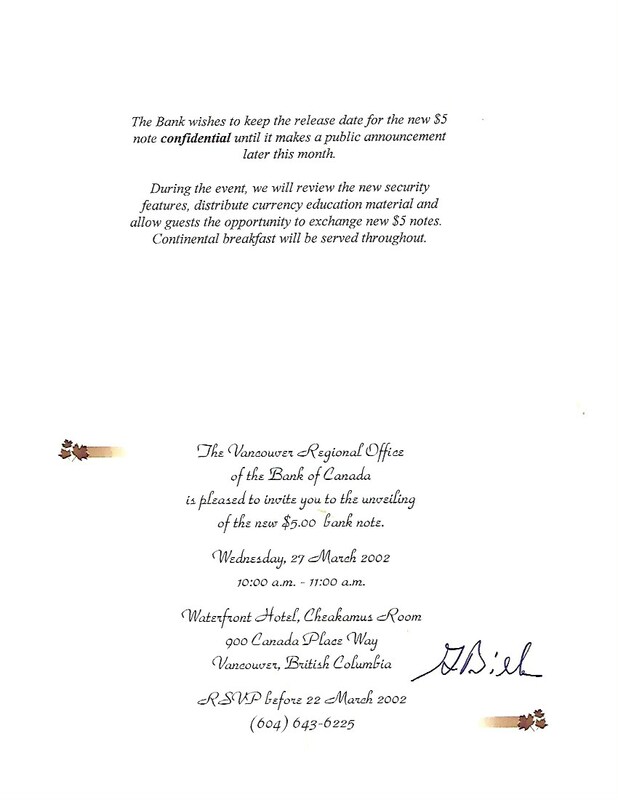 These were internal notes used by the BOC at new design launches with this prefix, will let you explain how this note got out in the wild. I believe there is a BOC letter sort of explaining how this happened. So I take it you were the lucky reporter who originally received this note ? NO I am just the one who won at the auction last month. 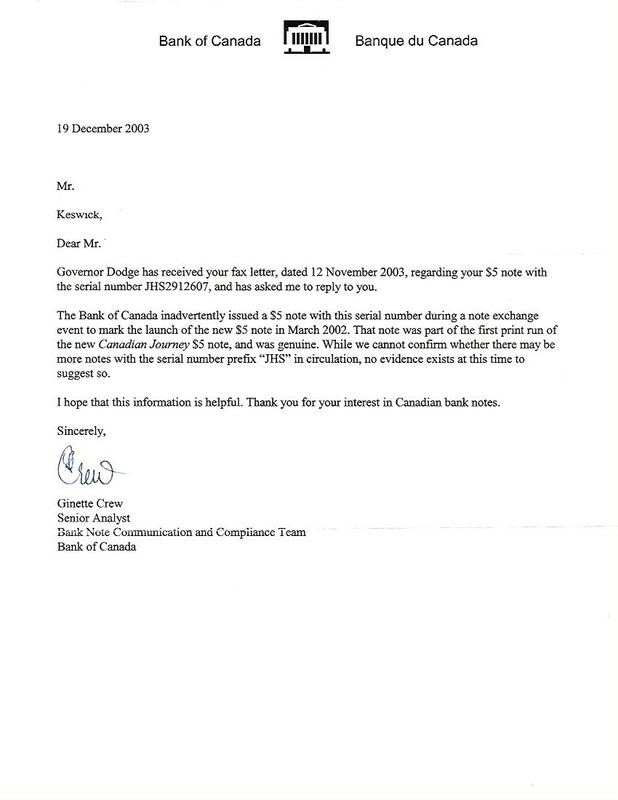 Great this is a cool note, if my memory is correct a CBC reporter after the event asked one of the BOC people to exchange one of these note and she complied and there you have it. The letter really verifies a claim which many collectors would be skeptical of without support. Thanks for sharing this item. Wow! What an amazing note to own. I am almost certain that is one of a kind. that went out 17 years ago. It took 2.3 seconds to rattle this change.